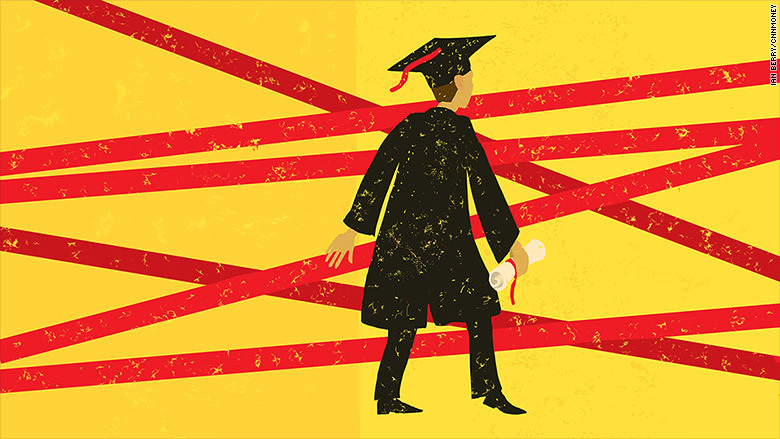 Government red tape is severely restricting job options for international graduates in the U.K.
International students are abandoning their dreams of working in the U.K. as the British government's stringent immigration policies restrict their ability to find jobs. Since mid-2012, harsh visa rules have slashed the number of foreign students who are able to secure jobs after graduation, down by roughly 88% from 2012 to 2013. Previously, students could take two years to find a job after graduation, but current rules give them just four months. Consequently, only a few thousand international grads are able to secure jobs each year, compared to tens of thousands in earlier years. And now, new policies under consideration could tighten the screws even further by setting higher minimum salaries for international graduates seeking new jobs. These rules are specifically aimed to restrict students from outside the European Union. "They're trying to cut every connection and every possibility for [an international] student here to go and work," said Josephine Goube, a London-based spokeswoman at Migreat, a website that provides immigration advice. Neil Carberry, a director at the Confederation of British Industry, says government restrictions on foreign students have gone "too far." He argues that it's important to keep skilled foreign workers in the country. Foreign grads from British universities have the odds stacked against them, since just 27,282 companies have permission to hire these candidates, out of a pool of over five million British businesses. Lilit Mughalyan, a 25-year-old Armenian MBA student at the University of Oxford, said it's difficult to find a company that is willing to sponsor her work visa. "I believe any student graduating from Oxford with an MBA can get a job, any job. But the problem is that you need to get into a big company and the company needs to be willing to sponsor you," she said, noting that many foreign classmates are also struggling to secure job offers. The work restrictions have led some rich students to take an alternate route, opting to remain in the U.K. via an investor visa that requires them to invest at least £2 million ($3.1 million) in British stocks and bonds. The latest data from the U.K.'s Migration Advisory Committee shows that 74 foreign students secured investor visas after graduation in 2013, up 48% from the previous year. Despite calls to loosen the rules, the government argues it is taking these steps to protect British jobs and British workers. "We are already seeing the results: since 2010, the majority of the rise in employment -- a record 1,000 jobs every day -- have gone to British nationals," said Prime Minister David Cameron in a prepared speech in June.